For over a week now we have been attempting to encourage baby boy to use the potty. We have had some success yet I am constantly feeling that it is a 1 step forward and 2 steps back process! I have reached the point now where I can honestly say that I hate potty training with a passion! Right now, at this point in time, I don’t care if he wears a nappy for the rest of his life (the very small still rational part of me is screaming ‘you don’t mean that’ but I am ignoring her). We have had a degree of success, like I said though. Baby boy will happily use the potty as long as he is not wearing any pants. As long as his bottom half is naked he will sit himself down and then proudly tell all and sundry that he has done a big wee or poo. He then gets a little sweet (I am not above bribery). Brilliant! Put some underwear on him however and he doesn’t even try. He just goes in his pants. Arggggghhh! It’s great that we have made some progress but seriously, he can’t just walk around naked forever! We do actually have to leave the house. One of the worst parts of this whole process is that baby boy has discovered that he can wee on purpose if he wants to and he finds it hilarious. I call it revenge weeing and it goes like this: ‘Stop hitting your sister’ = wee on the floor. ‘No, you can’t have the bricks out until the cars have been tidied away’ = wee on the floor. ‘Eat your lunch before you have a biscuit’ = wee on the floor. I am sick to death of cleaning up wee and poo! It’s at times like these in your child’s life that everyone around you seems to have done a better job than you. ‘My child was potty trained by 12 months’ or ‘my child potty trained in 3 days’. Well good for you and your exceptional toileting child! I know that it will get easier and that one day it will just click but my god it feels like this hell will never end! 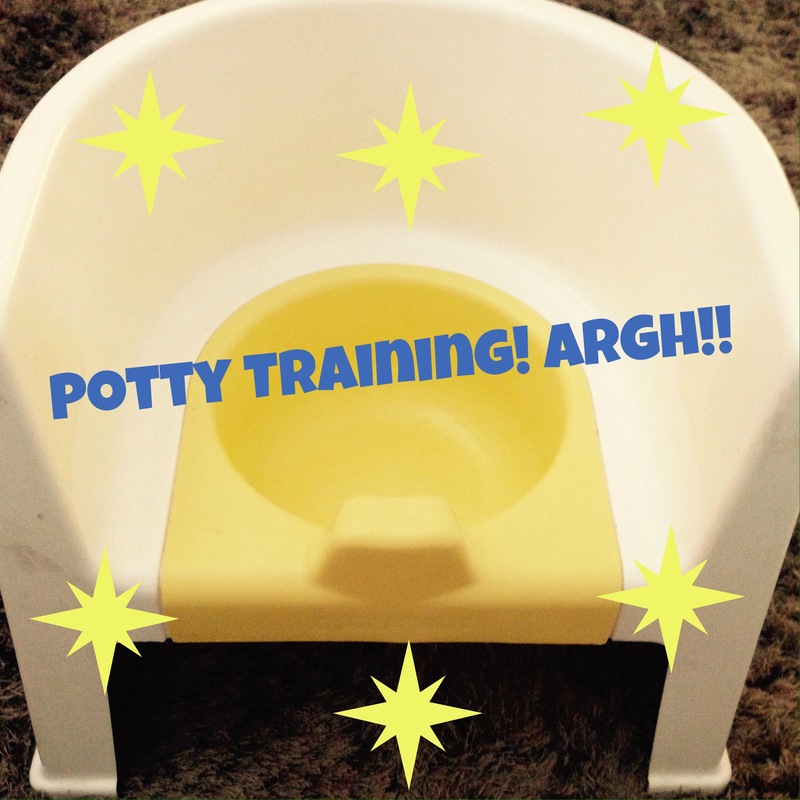 How did you go about potty training your child? Any tips?